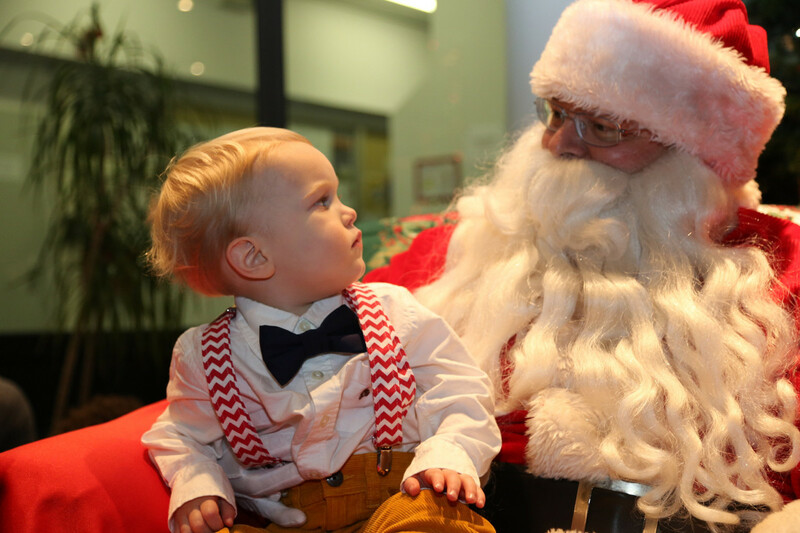 Terror in Toyland: Why Are Kids Scared of Santa? FlourishAnyway is an I/O psychologist and parent with a slapstick sense of humor. No, Santa! Do NOT Want! Is Santa Claus a Red Velvet Creeper? 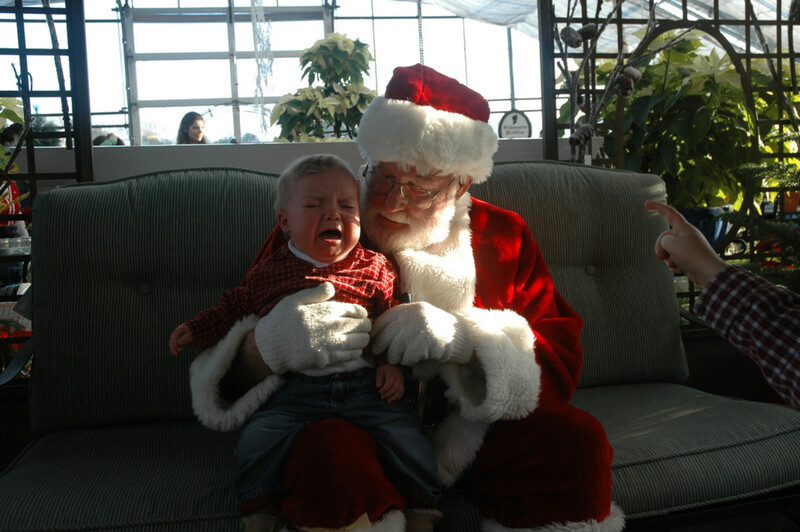 Why are kids so frightened of Santa? Do they know something parents don't? Is jolly old Santa a creeper and we adults just can't see it? These days, only a self-confident man would don a faux fur-trimmed, red velvet pantsuit and black work boots then top it off with white gloves. Admit it: his style could use some updating. And what's with that habit of breaking into people's houses? I'm surprised he's not in jail -- or worse. I have recently gathered explosive photographic evidence that there is indeed terror in toyland. We'll uncover graphic proof that it's indeed not an isolated case of one cranky baby or spoiled tot. 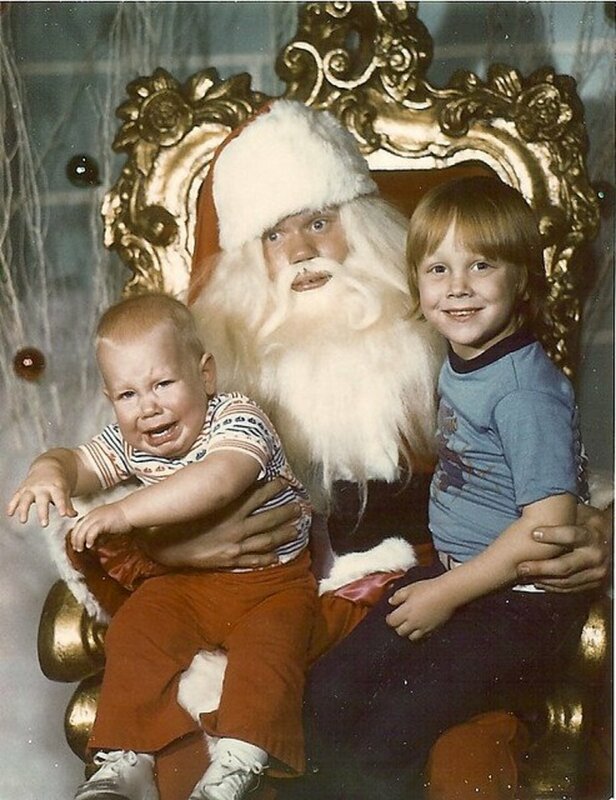 Old Kris Kringle has been scaring kids for years. Now we'll uncover the truth behind the myth. We'll look at the psychology behind some children's fear of Santa, and we'll also ask the hard-hitting question: Is Santa an appropriate role model for children? You'll also get to vote whether the old fella should hang up his boots for good. Hoping for the perfect photo with Santa, parents typically gussy up the wee ones in outfits that are adorable yet impractical and uncomfortable. Then they race to the local mall, fight for a parking space, and wait among hordes of other eager families, all roped off in long lines. Is it time for Santa to hang up his boots? YES - The Red Velvet Creeper just needs to retire. Think of the terrified children. 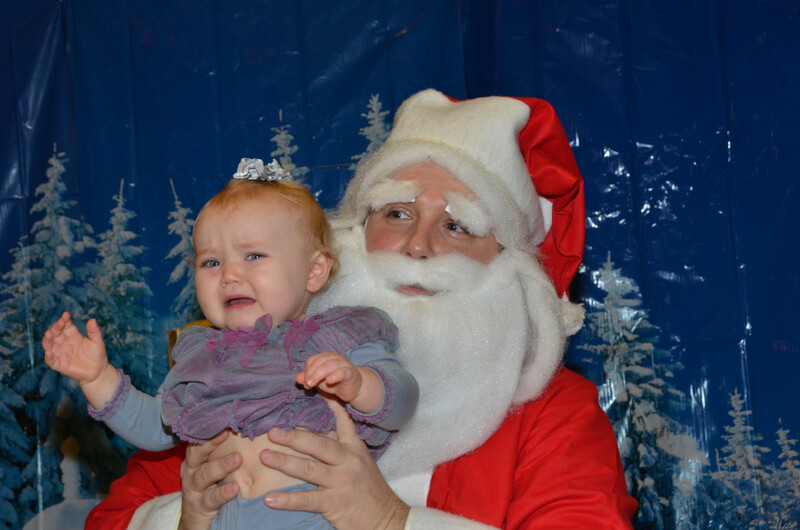 NO - I enjoy watching other people's kids become terrified by the old guy in red. And as parents place their precious offspring in the lap of a complete stranger to quickly -- because there are other kids waiting, you see -- recount what they want for Christmas, well, they feel frazzled and ready to get the hell out of there. But we need to get the photo. Yes, the photo. 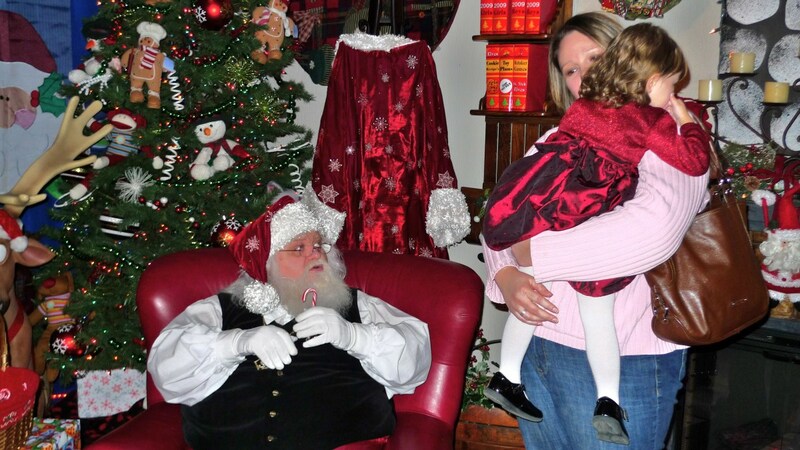 All eyes are now upon the lucky kid in Santa's lap as she is encouraged to "say 'Cheese!'" in a Facebook-worthy smile. 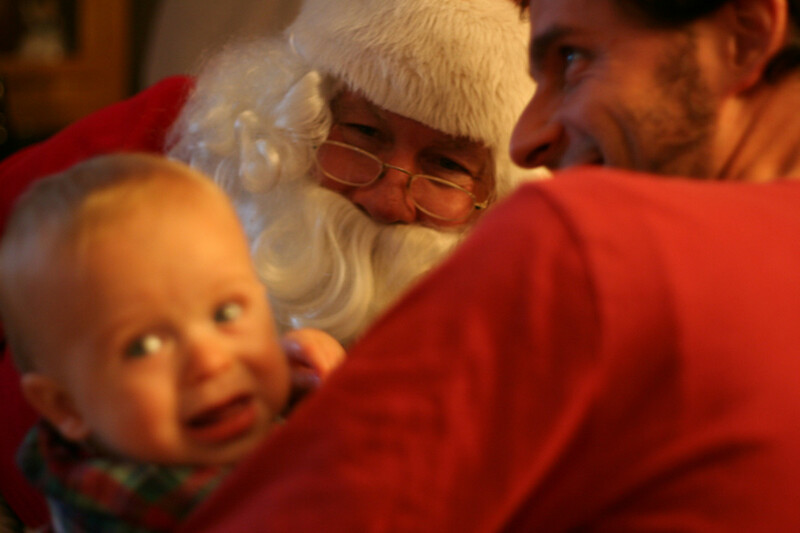 Stranger Anxiety: "Santa, I Don't Really Know You"
Stranger anxiety, or a sense of distress around unfamiliar people, can explain reactions experienced by young children to Santa and other unfamiliar people. Stranger anxiety develops slowly as infants begin to distinguish between their primary care givers and other people. For most babies, stranger anxiety emerges around 8 months of age, peaks between 12-15 months, and then declines until about age 24 months. Perhaps you already noticed that nearly all of the children in the Santa photos displayed here seemed to fall in this age range. demanding to be picked up. that he or she can differentiate among loved ones and strangers. The duration and intensity of stranger anxiety varies greatly from child to child, with the degree of distress being largely a matter of temperament. He is considerably overweight, eats way too many cookies, and uses a sleigh even for short distance travel (when he could reasonably walk). Let's not even talk about his cholesterol, blood sugar, and back trouble. Exactly how fast is he driving/flying? Does he have a license? His elves -- er, little people -- are demanding 401(k)s and health benefits, and they want living wages instead of all the candy canes they can eat. 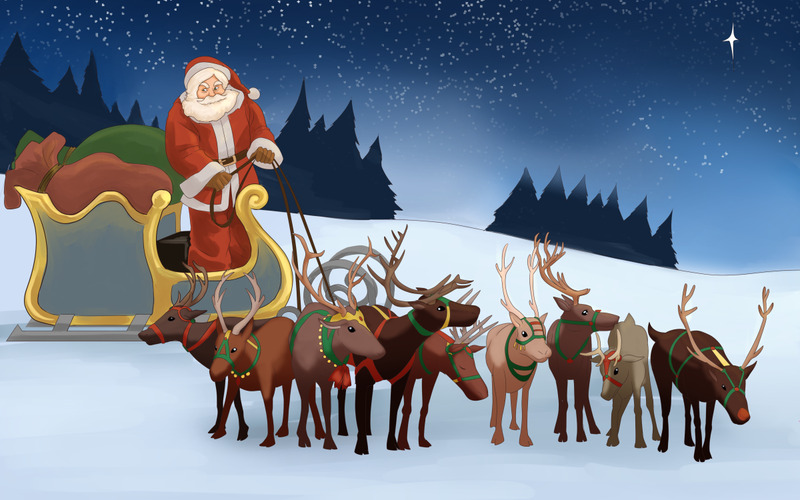 Rudolph and friends were not meant to haul millions of pounds of gifts in one night, all sorts of weather, without holiday or hazard pay. Shouldn't Santa have friends his own age? We get that Santa is jolly, but cut the pill in half. As the global population explodes, he continues to add children to his list rather than set limits. He's overworked, frazzled, and frayed. And it's showing. Sources say he's outsourced some of his labor to China to save time and money. "Ho" sounds like an insult, the red suit looks like pajamas, and when will the nice and naughty list finally be going digital? Seriously, Santa. Unlawful breaking and entering. Bypasses home alarm systems while the occupants are asleep: chimneys, locked doors using "magic" keys, and other suspicious means. To ease stranger anxiety, introduce your child to strangers; take him or her to places to interact with new people. 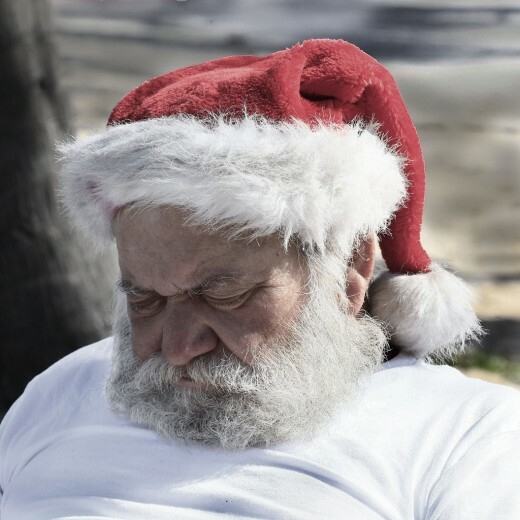 Avoid popular times for Santa photos: weekends and the week before Christmas. Also avoid times when you or your child is ill or cranky. Ensure your child is well fed and rested. Take a snack just in case. Watch Santa movies and read books in advance and discuss. Tell your child what to expect. 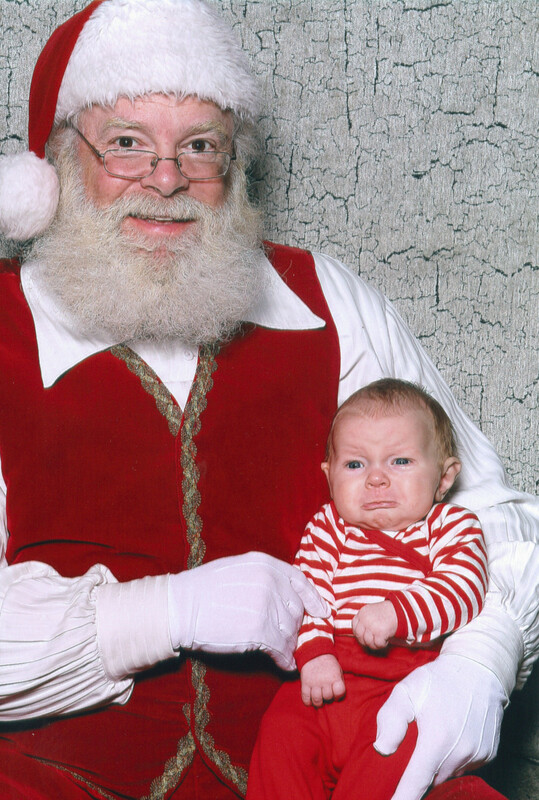 Hold the child while you introduce him or her to Santa. Take a favorite book or toy as a distraction. 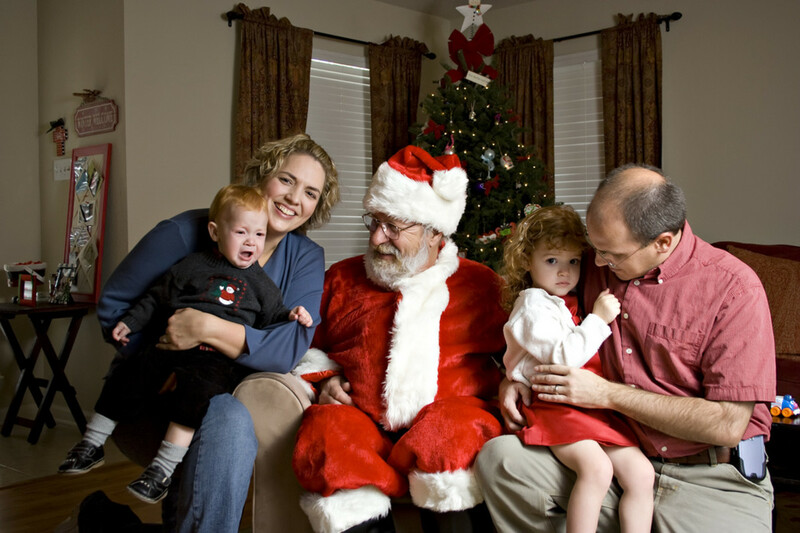 Be flexible enough to allow the child to sit or stand next to Santa, or get in the photo yourself if needed. Don’t trivialize the child’s fear. 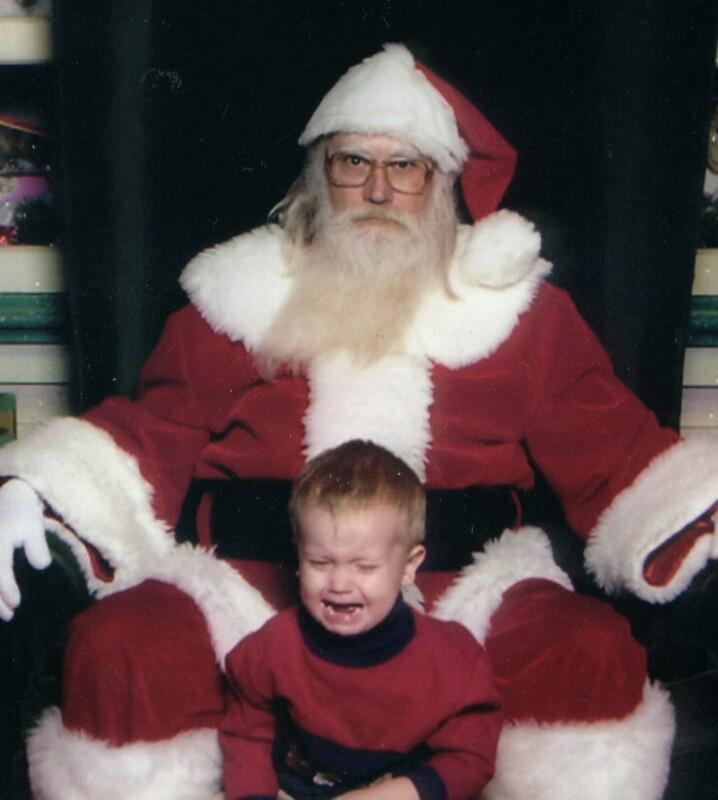 (Santa’s used to tearful kids.) Patience and respect starts early. 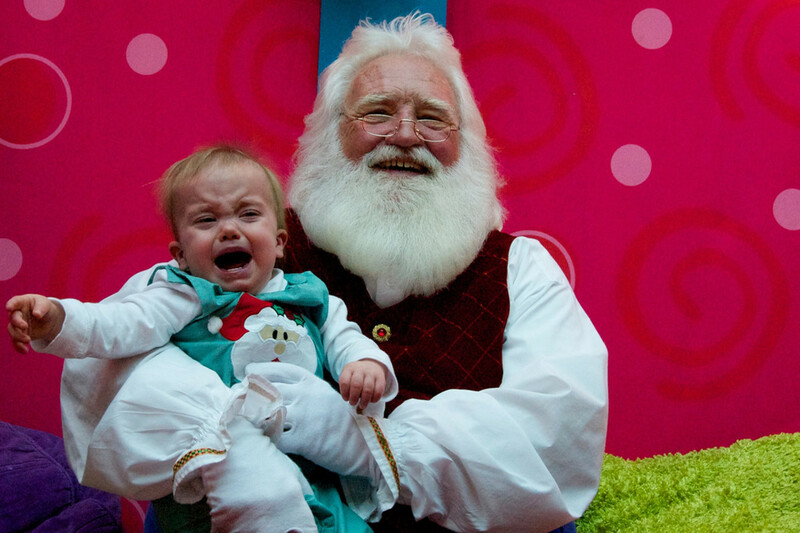 If you still get a "screaming photo with Santa," it'll make a memorable Christmas card. You did what you could. 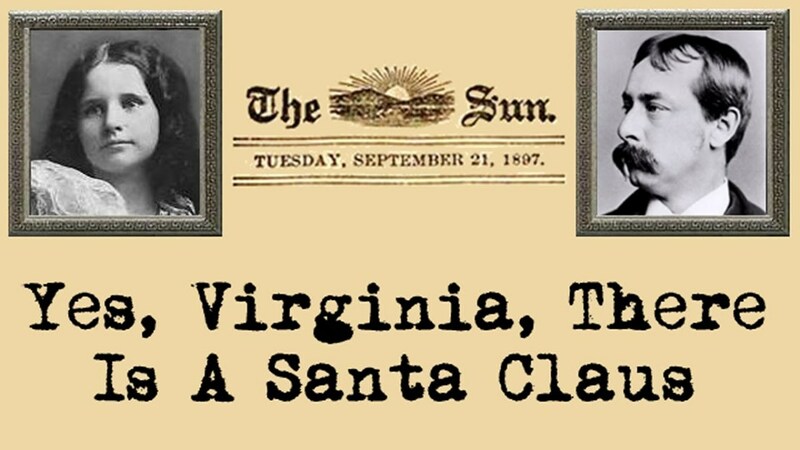 Yes, Virginia, There Is a Santa Claus. Thank God! Peggy - Poor Trudy. And those animal adoption groups that volunteer as Santas in exchange for the donations have it rough playing Santa. The Santa gets peed on, barked at, scratched, and has to play kiss-kiss with animals who just want to go home. (Been there as a volunteer!) Thanks for stopping by! Have a great week! PNWtravels - Like many experiences in life the build up doesn't fit the reality. Glad you let them off the hook after seeing they didn't like the experience. 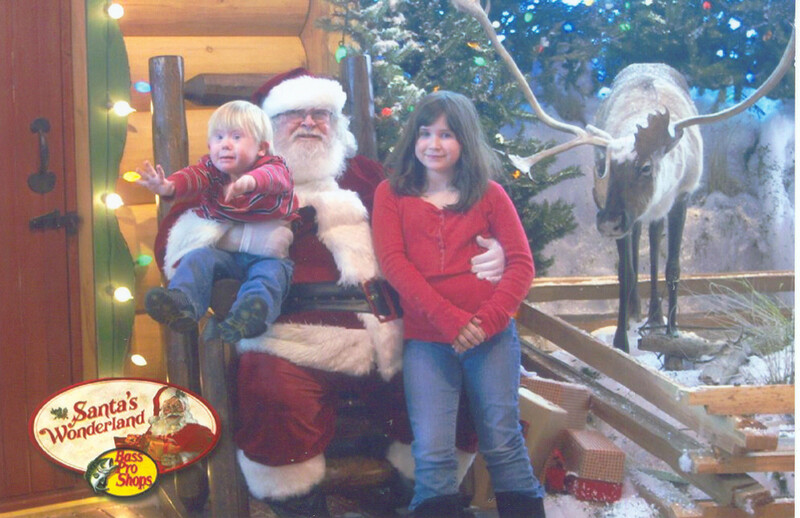 I took my kids to get a Santa photo once. I saw what an unhappy experience it was for them and decided it was just total selfishness on my part if I ever put them through it again so I didn't. 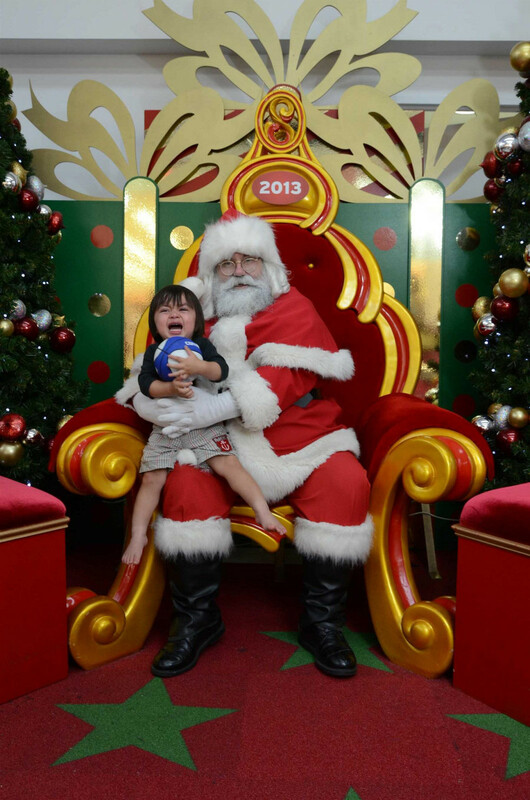 Martie - A friend recently took his 18 month old son to see Santa and got the classic reaction. Hilarious but you do feel for the poor kids. I feel especially badly for your granddaughter. That's a long time to be afraid but I'm sure there's some kind of explanation behind it if she could find a way to articulate it. Have a wonderful weekend! Linfcor - Thank you for the kind compliment. Have a great week! What a great sense of humor you have. Yet under all that humor was some very true points about our Christmas traditions. I know we all have been there trying to get that perfect photo ! 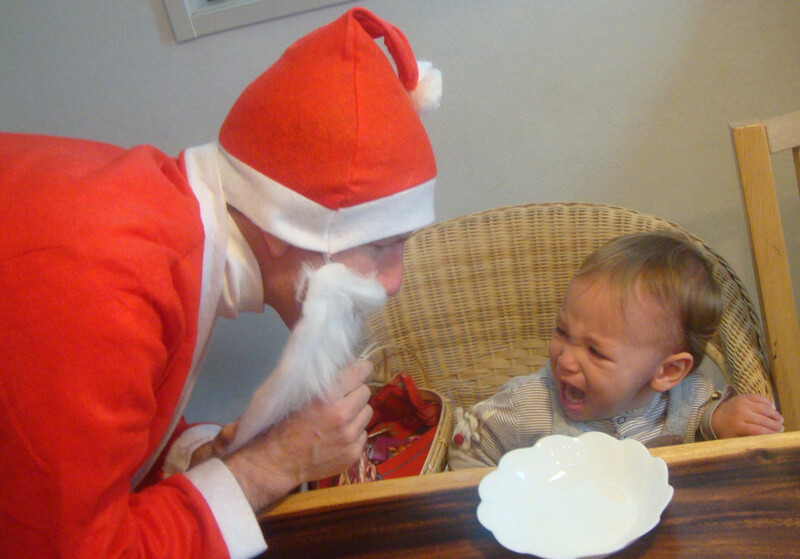 I like the idea of getting kids used to Santa before you expose them to the Jolly Old Elf ! tirelesstraveler - I never thought of him as a big puppet. Very interesting. Thanks for the visit! I am not a fan of Santa no matter what time of year. Puppets scare kids. Big puppets really scare kids. Nice work. Santa, clowns and the Easter bunny! All terrifying! :D Voted up and funny! Peggy - Thanks for visiting my Christmas hub on the off season! Santa and I both appreciate it! Susie - Thank you for reading and taking the time to comment! poetryman6969 - Funny. I kinda agree with you. If you step back and think about it, it's all rather strange. What can I say, but ... Another amazing hub, Flourish. The whole santa thing is vaguely creepy. But then again, I regarded the late Michael Jackson's view of children to be creepy too. Cynthia - I did search a long time for those photos but had a lot of fun doing it. You can get lost in other people's pictures, that's for sure. Thanks so much for the sharing and kind comments. Have a wonderful 2015. Jeannie - I always wondered whether other parents ratted Santa out, too. 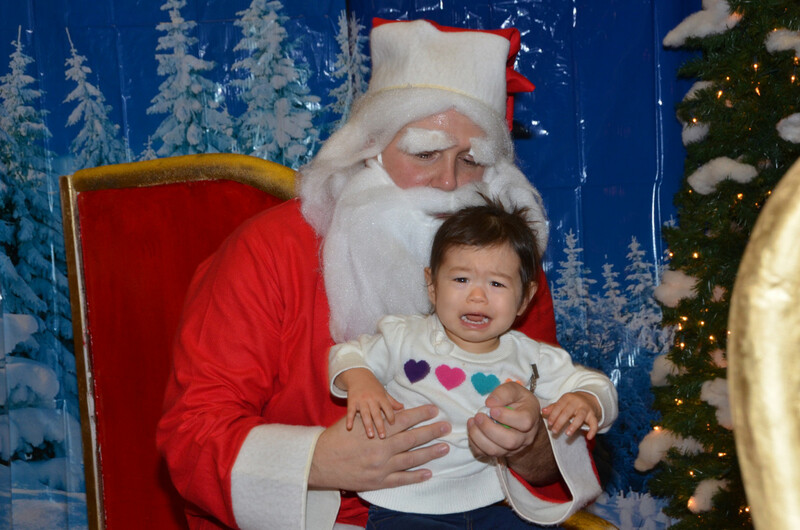 My kid noticed Santa looked really, really different as we went from mall to mall. She found it strange she had to remind him of her name. And sometimes his dark hair showed from underneath his beard. VioletteRose - Thankfully, stranger anxiety has a fairly brief window. I'm glad your son is comfortable with Santa now. Have a wonderful new year! Vellur - Thanks for reading. Glad you enjoyed my table! Have a Happy New Year! I've always been scared of Santa, as well as anyone else dressed up as a character. My guess would be it began when I was a small child and asked my mother how Santa could be in so many stores at once. She told me that was not the real Santa and he was just some guy paid to be Santa. 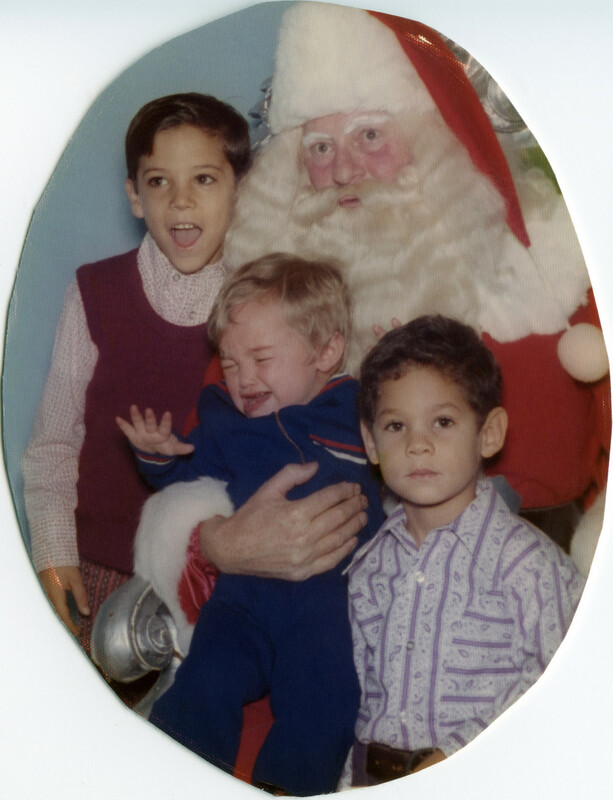 And so began my fear of Santa. She was at least kind enough to explain the real Santa was at the North Pole. Still, I tend to think it is a little weird to teach kids "stranger danger" but then expect them to be buddies with anyone dressed as a character at the mall. I don't blame kids for being scared. P.S. Those mall Easter Bunnies look far more terrifying than any mall Santa! Getting the photo right is all what parents think about. As you have mentioned by the time they get to Santa, they must be tired and hungry. 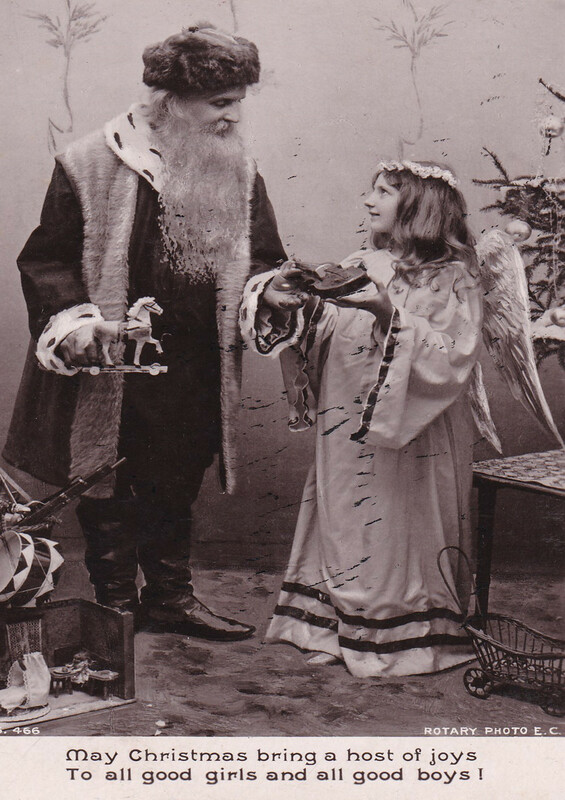 Children maybe freaked out by the real Santa, in imagination it is different! Great hub,enjoyed reading and your table analysis! Voted up. Patricia - Thanks so much for sharing and taking the time to comment. Have a terrific 2015! Well said. The stranger anxiety is a good one...kids should be afraid of strangers, sadly so. Even Santa. It is a slippery slope to help a child prepare to see Santa because if it is the first time, he is a stranger. And we spend their how many ever years they are on the planet before meeting Santa telling them to be wary of strangers. then all of a sudden we are putting them on the lap of a stranger. Imagine the confusion. Roberta - It is a little peculiar, and mall Santas have been known to sweat pretty heavy in those heavy suits, too. Oh, boy. Thanks for stopping by, and have a terrific 2015! 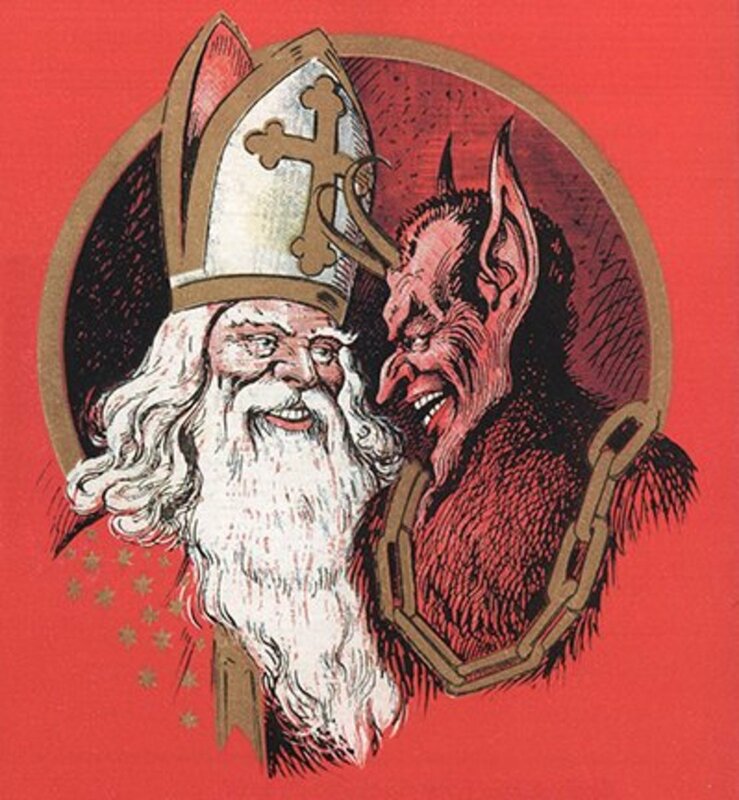 The whole santa thing has always puzzled me, no matter what the culture of santa tries to present itself as. For instance, one thing I wonder about is why parents would work so hard throughout the year, plan and prepare for such a special holiday with the kids, and, of all things, then turn around and tell them a lie that gives credit to some stranger dressed in a clownish suit for all the gifts, all the effort, all the excitement they've worked to have with the little ones. Another thing is the confusion in kids' minds…the issue you mention re stingers, they are told to be careful about them and then they are forced into a stranger's lap (one who is sometimes smelly) while parents step away from their terror. I don't get parents encouraging distrust of themselves in their children under any circumstances. At the end of the season, kids grow into people who wish for "the real santa" ?! when all the time the whole big-red-suit-guy-thing is about materialistic commercialism. All my feelings on this could come from something in my childhood that I have no memory of, I don't know, but I do know that little kids and even babies know more than we credit them with when it comes to certain issues! peachpurple - Thanks for stopping by! He can be a bit scary, especially to a tot! ezzly - Photos can be so deceiving. I get she wanted proof of what he could be. Thanks for taking the time to read and comment, and have a great New Year. teaches12345 - It's rather funny unless it's your own kid. Thanks for reading and taking a look at the terrified kids. Happy New Year! OMG this is hilarious, I remember when my nephew was a baby, my mom had to spend hours trying to make him smile for a photo shoot ...fro the pictures you would think he was such a happy baby which he was but at the photo shoot i guess the pressure to perform was too much ! PS Well done on your score of 99 that's amazing !!! Because if santa face, clothes and he looks fat, scared of little kiddos, my son is afraid of santa, he told me santa is an ugly ogre! I was at the mall shopping and saw all of this first hand. Your theory on why they are scared is so right on. The poor kids are tired, usually hungry and then put in a stranger's lap. Great post and so interesting to read. Joyfulcrown - You have so much terrified company, as evidenced by these photos. Thanks for stopping by! Hope your Christmas was a good one! Oh my gosh those pictures were classic. 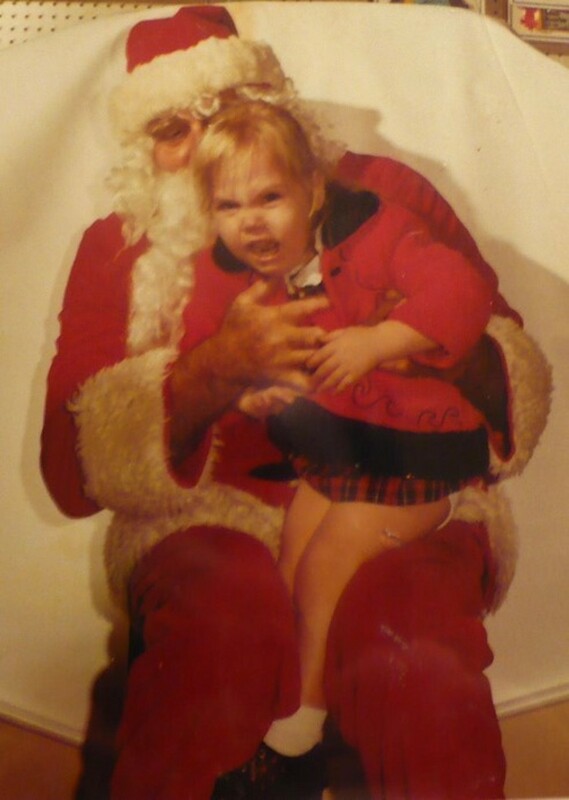 Both my sister and I were scared of Santa when we were small. But we were afraid of any person in a costume. Patty Inglish, MS - That sounds like a terrible outfit to subject anyone to, particularly a small child. Thank you for sharing your memory. 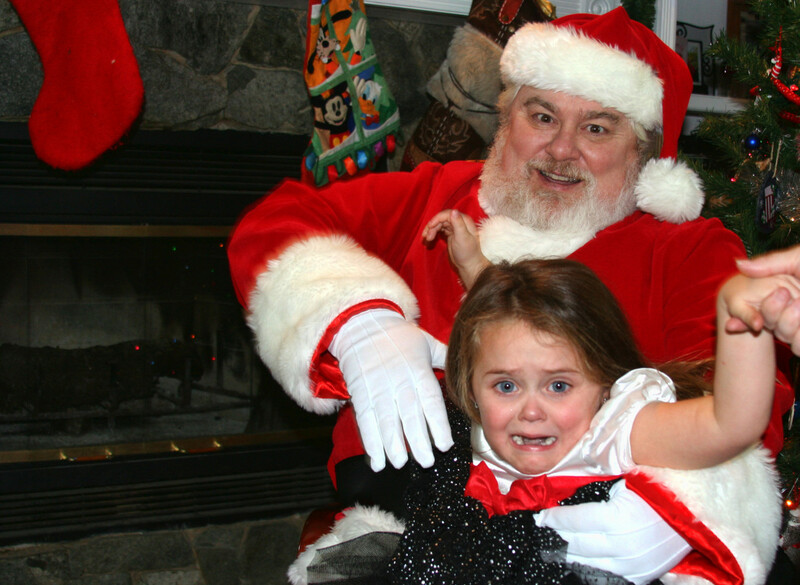 Perhaps parents will think twice before they subject their little ones to a Facebook-perfect Santa photo. I doubt it, but you could hope! Have a wonderful holiday season! Devika - Glad you enjoyed this one. Those poor kids are funny. Your writing made me recall the horrible, itchy, scratchy, poking, unlined wool "leggings" - the wool trousers little kids were forced to wear in days of yore. The raw seams caused rashes and bleeding on the legs and the coats caused us to upchuck from overheating in stores. Yikes! And those pictures could be used in a horror film: "It Came From the Cruel, Unknown North." Rated as far up as possible! A beautiful hub! You had a perfect approach on this title. The festive season is so just filled with so much fun. Voted up. russinserra - Thanks for stopping by! smnoman - Thanks for stopping by. Sha - Thanks for stopping by and for that very interesting memory about your son! Have a great week and Merry Christmas! 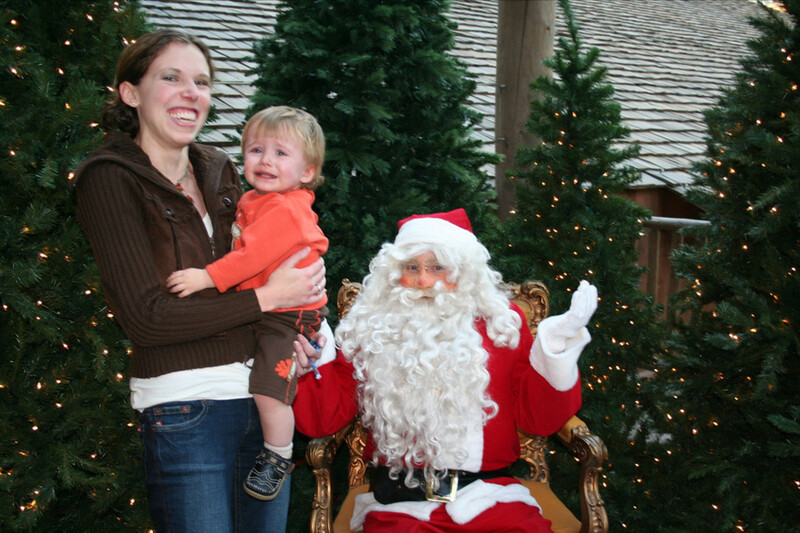 When my son was little he was one of few children who wasn't afraid of Santa. I think it was because his father had a beard that reached the middle of his chest. I think most kids who have clean-shaven dads are afraid of the beard more than anything. You have posted a nice hub and I appreciate for it. Linda - Thanks for stopping by and for your kind kudos. Have a great holiday week. Gordon Fisher - Thank you for reading. Have a great holiday week! This is a very funny hub, Flourish. It's also a very useful one for parents and other caregivers. 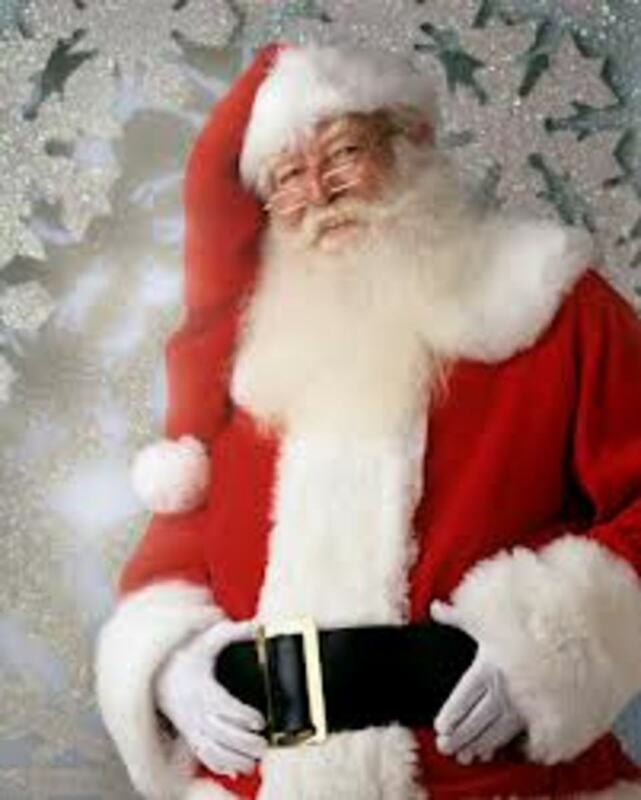 I love the Santa photos and your table about Santa as a role model! 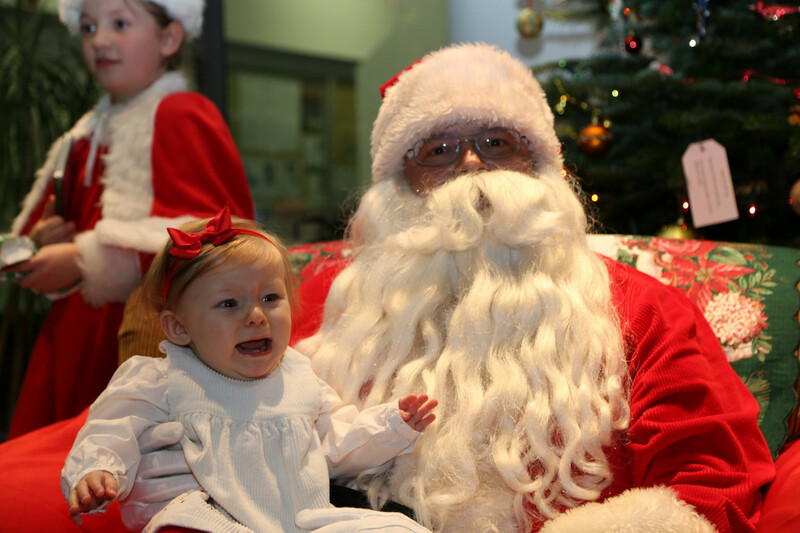 Your suggestions for helping parents prepare children for a visit to Santa are great, too. 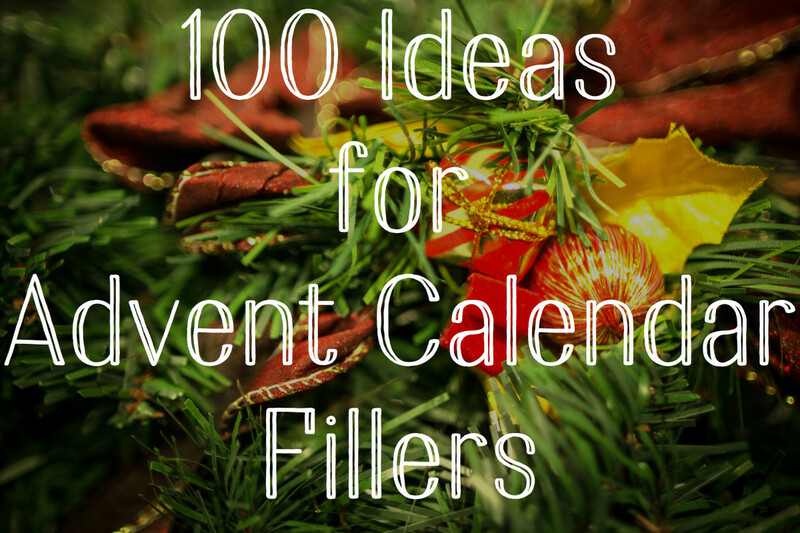 Lot's of fun information in this! Thanks for sharing! Fire8storm - Thanks for your kind kudos. Glad you enjoyed it! FlourishAnyway- what a great Hub! I giggled all the way through and loved all the photos! Equally you make some really good serious points about the Santa experience and how to tackle it. Voted up! Iris - Glad you enjoyed this. Have a great holiday week! Heidi - What we wouldn't do for animals! You have a kind husband to play Santa for the critters, especially when he's a little scared. I bet that was a fun day. 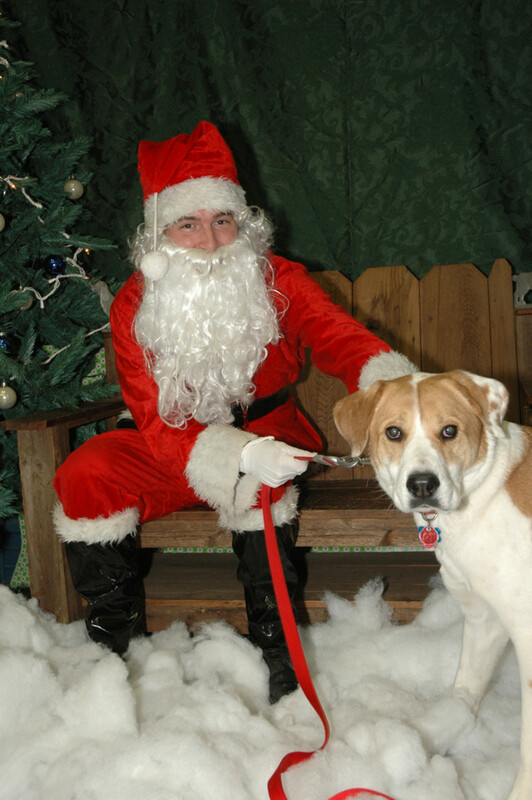 I, of course, wasn't the one in a Santa suit, but I helped with pets' Santa photos with a rescue group a couple of years and it was a lot of fun. Over the years we had people stop by with their snake, rat, ... as well as lots of cats and dogs. Jackie - What a neat experience! Who knew that many kids felt that way. I've been one of those moms who took my photo with him and my child, but it's been awhile. This is hilarious! 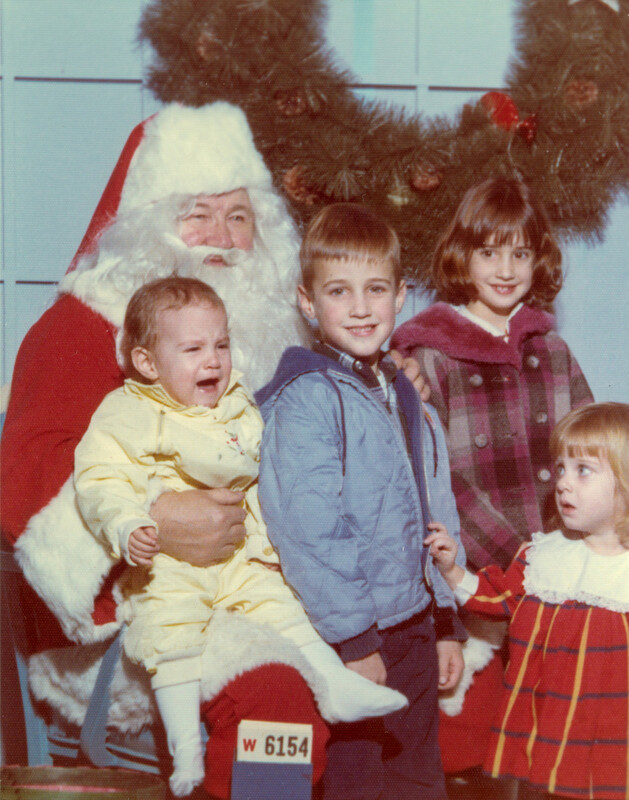 I never took my children to see Santa. They are no worse for wear, and according to this little charmer, perhaps better for not having seen him. Too cute! Ann - Glad you enjoyed this. You had some understanding parents! ologsinquito - I couldn't believe just how many screamers there were. I don't know what they pay those poor mall Santas, but it must not be enough. Thanks for reading, and have a great week! Faith Reaper - You turned out just fine. Perhaps a little scary Santa is good for us all! travmaj - My thoughts exactly! I hope Santa brings you all you wish for! So funny and enjoyable read. I was an elf for Santa one year and wow; I wondered did any kid like Santa! Maybe the ones too big to be sitting on anyone's lap! Of course a few moms wanted their picture with him too. Another hilarious holiday hub! Voted up and funny, of course. Talk about stranger anxiety! Hubby played Santa for pictures with pets two years in a row at the local pet store and shelter. Scary, eh? :-D Even though he enjoyed the experience overall, HE was kind of scared of some of the pets, especially birds which can be difficult and fly in one's face or scratch if they're scared enough. A great mixture of fun and sensible comments here! This is great entertainment and I love the photos. I never liked seeing Santa either; fortunately my parents realised so I wasn't taken. Others aren't so lucky! Yes, the evidence is undeniable. 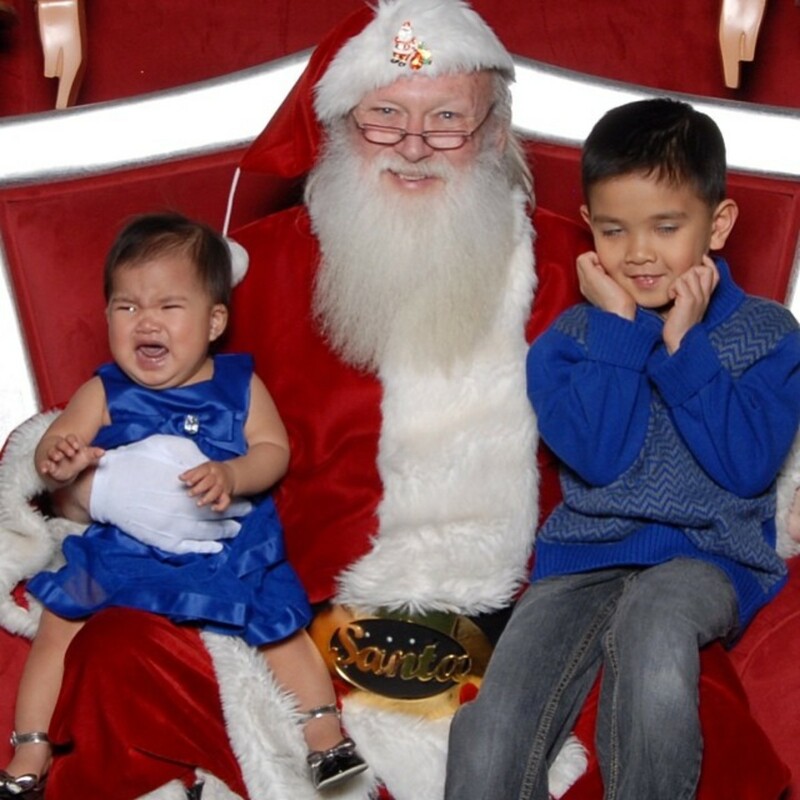 The little ones are definitely afraid of Santa. The slightly older one really like him. This must have been a fun one to write. Oh, I just remembered, my mother kept one of me on Santa's lap at that age too, and boy was I terrified of that skinny Santa in Germany, where my dad was stationed for two years ...but I think I turned out okay? It is a weird concept, we teach children Stranger Danger and then hand them over to Santa. I can see how confronting that might be. When my daughter was young I had a large blow up Santa which freaked her out big time. What trauma! Still, he's not a bad old chap and I guarantee he's not about to disappear. Might have a sit on his lap myself, if he promises to bring me what I want! Bill - They are a little fun to watch. Some are more convincing (and friendlier) than others. Have a great week! stevarino - I would bet you're not the only one! Thanks for reading and sharing your tale of Santa fear. This brings back childhood memories of my extreme aversion to shopping center Santas - I believe it left permanent, psychological scars! For years, I thought I was the only youngster that had Santaphobia! Bill - Thanks! I'm sure you have some terrific photos of those grandkids that will be memorable for years to come. Sometimes the photos that don't go so well are the real good ones. Flourish, this is hilarious. Years ago my parents played a video from when I was a child and sure enough I cried bloody murder when Santa showed up. The photos you included here are priceless. We actually just went through this with our 2 grandkids and while the 5 year old was fine the one year old was less than impressed with Santa. Great job. have a great Sunday. Frank - These days it kind of does, huh. Santa needs to be a little more pc. Jodah -Stranger anxiety definitely plays a role and typically dies down by the end of the second year. My own daughter wasn't too fond of the Easter Bunny. I have a great photo of her sitting next to him, arms definitely to herself. Frank - That is quite a compliment! Thank you! It was a lot of fun researching this one. Have a great week. Great Christmas hub Flourish. I love the list of concerns as to if Santa is a good role model. I also think as it is mostly children under two years of age that are frightened by him..your suggestion to introduce them to him via movies and the like as early as possible is the best way to approach this..get them familiar with the old fat guy before they are forced to sit on some strnger's knee. Voted up. Loved it.